removable media and hard drives. If a computer has already been infected and doesn't respond to system calls, Dr.Web Anti-virus scanner for DOS 386 could bring the machine back to life. Exceptional resistance to viruses and supported installation in an infected system distinguish Dr.Web products from its competitors. Dr.Web scanners can even be run without installation - from a CD or a removable drive, for instance. By default, the main memory, startup files, boot sectors, archives and packed files, mail programs' files and files in sub-directories of directories set to be checked are scanned. The heuristic analysis is performed as well, unless this option is disabled by a user upon launchingt the scanner. However, the default scanner settings do not contain curing jobs and no actions are specified for infected or suspicious files. Command line keys are used to manage program setting. If no keys are specified, scanning is performed using default settings, unless the latter were changed after the launch. Dr.Web console scanners have a lot of options determining the program performance, which can be divided into several groups: scanning, diagnostics, actions and interface settings. Being run, the scanner can be tuned for the current session with a list of targets to be scanned. All hard discs, one disc only, or files in directories or sub-directories can be scanned. The default settings provided by our developers are optimal, however sometimes they can fail to meet particular user's demands. 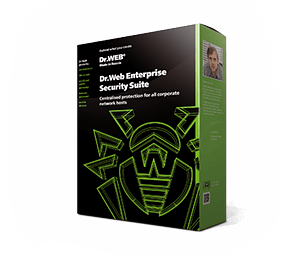 Dr.Web console scanners allow modifying the settings stored in the configuration file. Some parameters can be specified in the program's configuration file only. If you skip some parameter, which often happens while tuning, the default one will be used. After the scanning is done, a report is generated on all checked, cured, moved, deleted and suspicious objects, as well as on time and speed of the scanning. The default settings designed by our developers are optimal, but they can sometimes fail to meet particular user’s demands. Dr.Web console scanners allow to flexibly modify the settings stored in the configuration file. Some settings can be specified in the program’s configuration file only. If you skip some parameter, which often happens while tuning, the default one will be used.